This article is about the singer/songwriter. For the podcast cohost, producer, and writer, see Chapo Trap House. 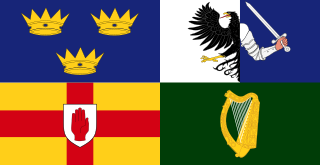 Brendan James is an American, piano-based singer/songwriter from Derry, New Hampshire. James spent his early music career playing at New York City open mics before he signed to Capitol Records in 2005. At Capitol he spent a year and a half recording his debut album, but was dropped before its release during the Capitol Records/Virgin Records merger in 2007. After leaving Capitol, he self-produced and released an EP, The Ballroom Break-in. He signed to Decca Records in 2008 and has released two studio albums with the label. His debut album, The Day is Brave , was released in 2008, while his self-titled second album, Brendan James , came out in 2010. He has toured nationally to support the albums, including tours with artists such as Jason Reeves, John Mayer, Tyrone Wells, Matt White,  and Amber Rubarth. The University of North Carolina is a multi-campus public university system composed of all 16 of North Carolina's public universities, as well as the NC School of Science and Mathematics, the nation's first public residential high school for gifted students. Commonly referred to as the University of North Carolina System or the UNC System to differentiate it from the original campus in Chapel Hill, the university has a total enrollment of over 183,001 students and in 2008 conferred over 75% of all baccalaureate degrees in North Carolina. UNC campuses conferred 43,686 degrees in 2008–2009, the bulk of which were at the bachelor's level, with 31,055 degrees awarded. A cappella music is specifically group or solo singing without instrumental accompaniment, or a piece intended to be performed in this way. It contrasts with cantata, which is usually accompanied singing. The term "a cappella" was originally intended to differentiate between Renaissance polyphony and Baroque concertato style. In the 19th century a renewed interest in Renaissance polyphony coupled with an ignorance of the fact that vocal parts were often doubled by instrumentalists led to the term coming to mean unaccompanied vocal music. The term is also used, albeit rarely, as a synonym for alla breve. 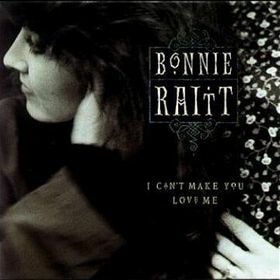 "I Can't Make You Love Me" is a song written by Mike Reid and Allen Shamblin and recorded by American singer Bonnie Raitt for her eleventh studio album Luck of the Draw (1991). Released as the album's third single in 1991, "I Can't Make You Love Me" became one of Raitt's most successful singles, reaching the top-20 on the Billboard Hot 100 chart and the top-10 on the Adult Contemporary. Tony Bruno is an American sports talk radio personality from Philadelphia, Pennsylvania. He is a 40-year sports radio veteran, having worked for national American sports broadcasters including ESPN Radio, Fox Sports Radio, Premiere and Sporting News Radio. An audition is a sample performance by an actor, singer, musician, dancer or other performer. It typically involves the performer displaying their talent through a previously memorized and rehearsed solo piece or by performing a work or piece given to the performer at the audition or shortly before. In some cases, such as with a model or acrobat, the individual may be asked to demonstrate a range of professional skills. Actors may be asked to present a monologue. Singers will perform a song in a popular music context or an aria in a Classical context. A dancer will present a routine in a specific style, such as ballet, tap dance or hip-hop, or show his or her ability to quickly learn a choreographed dance piece. Still living in New York, James used and built upon the music he developed and recorded at Capitol, working to release the album himself. He recorded material from the Capitol album with Los Angeles-based producer Mikal Blue,   turning it into James's self-released EP, The Ballroom Break-In, in 2007. The title of the EP was based on his early days in New York City, when he broke into venues in order to practice playing and writing songs on a piano. After the release of the EP, Tomas Young, a paralyzed Iraq War veteran, heard one of its songs, "Hero's Song," on iTunes. 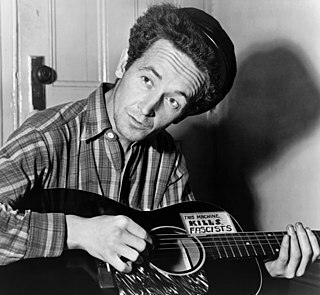 Young picked the song to be on a soundtrack of a documentary of his life, called Body of War. Music from his EP was also used in television shows, including "The Sun Will Rise" which appeared on the ABC drama Private Practice in 2007. James and Blue quickly followed up The Ballroom Break-in with the full-length album, The Day Is Brave . The album used most of the material from the EP and some of the Capitol songs, but also contained new material James had written. As his EP's exposure grew, including a feature on Perez Hilton,  James again gained the interest of major record labels. In 2008 he signed with Decca Records. The Iraq War was a protracted armed conflict that began in 2003 with the invasion of Iraq by a United States-led coalition that overthrew the government of Saddam Hussein. The conflict continued for much of the next decade as an insurgency emerged to oppose the occupying forces and the post-invasion Iraqi government. An estimated 151,000 to 600,000 or more Iraqis were killed in the first three to four years of conflict. In 2009, official US troops were withdrawn, but American soldiers continued to remain on the ground fighting in Iraq, hired by defence contractors and private military companies. The U.S. became re-involved in 2014 at the head of a new coalition; the insurgency and many dimensions of the civil armed conflict continue. The invasion occurred as part of a declared war against international terrorism and its sponsors under the administration of U.S. President George W. Bush following the unrelated September 11 terrorist attacks. 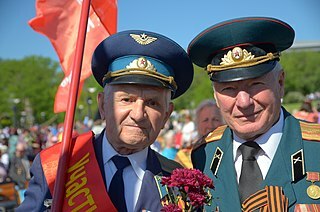 A veteran is a person who has had long service or experience in a particular occupation or field. A military veteran is a person who has served and is no longer serving in the armed forces. Those veterans that have had direct exposure to acts of military conflict may also be referred to as war veterans. A combat veteran is a person who has fought in combat during a war or a skirmish against a declared enemy and may still be serving in the military. 2018:Wish You Well  is Brendan's latest single which was released on April 23, 2018 by Lot 100 Productions ASIN: B07CBCNVQ3. It was featured in the Australian TV soap 'Neighbours' on April 03, 2019 in the UK. Quicksilver Messenger Service is an American psychedelic rock band formed in 1965 in San Francisco. The band achieved wide popularity in the San Francisco Bay Area and through their recordings, with psychedelic rock enthusiasts around the globe, and several of their albums ranked in the Top 30 of the Billboard Pop charts. They were part of the new wave of album-oriented bands, achieving renown and popularity despite an almost complete lack of success with their singles. Though not as commercially successful as contemporaries Jefferson Airplane and the Grateful Dead, Quicksilver was integral to the beginnings of their genre. With their jazz and classical influences and a strong folk background, the band attempted to create an individual, innovative sound. Music historian Colin Larkin wrote: "Of all the bands that came out of the San Francisco area during the late '60s, Quicksilver typified most the style, attitude and sound of that era." Long Tall Sally by the Beatles was their fifth official EP release, and the first British EP that included songs not previously released on an album or single in the United Kingdom. It was released by Parlophone in mono with the catalogue number GEP 8913 and released in the United Kingdom on 19 June 1964. It was also released in Spain and France. The Early November is an American rock band from New Jersey. The group formed in 1999 and signed with Drive-Thru Records in 2002. As of 2018, they have released two EPs: For All of This (2002) and The Acoustic EP (2005). They have released four full-length albums: The Room's Too Cold (2003), triple album The Mother, the Mechanic, and the Path (2006), In Currents (2012), and Imbue (2015). Their upcoming album, Lilac, is expected to be released in 2019. The band is currently signed to Rise Records. Willy Mason is an American singer-songwriter. The Raconteurs, also known as The Saboteurs in Australia, is an American rock supergroup that was formed in Detroit, Michigan, featuring four musicians associated with earlier musical projects: Jack White, Brendan Benson (solo), Jack Lawrence, and Patrick Keeler. Relient K is an American rock band formed in 1998 in Canton, Ohio, by Matt Thiessen, Matt Hoopes, and Brian Pittman during the band members' third year in high school and their time at Malone University. The band is named after guitarist Hoopes' automobile, a Plymouth Reliant K car, with the spelling intentionally altered to avoid trademark infringement over the Reliant name. 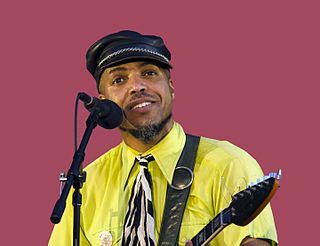 Van Hunt is an American singer, songwriter, multi-instrumentalist and record producer. He released his debut album, Van Hunt, in 2004, and a follow-up, On the Jungle Floor, in 2006, both on Capitol Records. He won the Grammy Award for Best R&B Performance by a Duo or Group with Vocals for appearing on the tribute version of the Sly & the Family Stone song, "Family Affair", in 2007. He transitioned to Blue Note Records where his 2008 album, Popular, was shelved and would not be released until 2017. He self-released the compilation album Use in Case of Emergency in 2009. Brendan Benson is an American musician and singer-songwriter. He plays guitar, bass guitar, keyboard, and drums. He has released six solo albums and is a member of the band The Raconteurs. Kevin Devine is an American songwriter and musician from Brooklyn, New York, who is known for his introspective and political themes. He is a contemporary member of the underground indie rock and indie folk musical scenes, and his influences range from older indie artists such as Neutral Milk Hotel, Elliott Smith and Pavement to more mainstream and well known acts such as Nirvana and Bob Dylan. Recently, Kevin Devine has rejoined his previous band, Miracle of 86, for a series of reunion shows. The Twilight Sad are a Scottish post-punk/indie rock band, comprising James Graham (vocals), Andy MacFarlane (guitar), Johnny Docherty (bass), Brendan Smith (keyboards) and Sebastien Schultz (drums). The band are signed to Rock Action Records and have released five albums, as well as several EPs and singles. Their 2007 debut album, Fourteen Autumns & Fifteen Winters, drew widespread acclaim from critics, who noted Graham's thick Scottish accent and MacFarlane's dense sonic walls of shoegazing guitar and wheezing accordion. The Twilight Sad's notoriously loud live performances have been described as "completely ear-splitting", and the band toured for the album across Europe and the United States throughout 2007 and 2008. Sessions inspired by stripped-down and reworked live performances yielded the 2008 mini-album, Here, It Never Snowed. Afterwards It Did. Ferras Alqaisi is an American singer-songwriter from Los Angeles, California. He is well known for his single "Hollywood's Not America" from his debut album Aliens & Rainbows, which was featured as the exit song during the semi-final round of American Idol season 7. He is signed with Unsub Records, a subsidiary of Capitol Records founded by Katy Perry, being the first artist to sign with her label. In June 2014 he released his self-titled EP through the label. The Maine is an American rock band from Tempe, Arizona, formed in 2007. Their first release, the EP Stay Up, Get Down was released in late 2007, followed by a five-song EP titled The Way We Talk on December 11, 2007. The band's first full-length album, Can't Stop Won't Stop was released July 8, 2008. ...And a Happy New Year was released on December 9, 2008. Their second full-length album, Black & White, sold 22,634 copies in its first week. On December 6, 2011, the group's third album, Pioneer, was released and it peaked at No. 90 on the Billboard 200. Their fourth full-length record Forever Halloween reached No. 39 on the Billboard 200 by selling over 10,000 copies in its first week and was followed by its deluxe edition on June 17, 2014. Their fifth studio album, American Candy, was released on March 31, 2015. Lovely Little Lonely, their sixth full-length record, was released on April 7, 2017. You Are OK, their seventh full length record, was released March 29, 2019. James Husband is the recording project of James Huggins III, Of Montreal's multi-instrumentalist. Jason Bradford Reeves is an American singer-songwriter and musician. He grew up in Iowa City, Iowa before locating to California in 2005, where he began a long-standing working relationship with producer Mikal Blue and singer Colbie Caillat. He co-wrote many songs with Caillat, most notably the songs "Bubbly", "Realize" and "I Never Told You". "Bubbly" has been Reeves most successful work to date, hitting #1 on the Billboard Adult Contemporary charts, #5 on the Hot 100 and being certified Platinum by the RIAA. He has won awards from ASCAP. Brendan James is the self-titled second studio album by American singer-songwriter Brendan James, released on September 7, 2010. Brendan made his first-ever appearance on Billboard 200 after debuting at #93 on the chart, with the strong sales in digital, the self-titled album also broke into the Digital Albums chart at #21. The Day Is Brave is the debut studio album by American singer-songwriter Brendan James. It was released on June 3, 2008. The album is an extension of his previous four-song EP The Ballroom Break In which released in 2007. Rock-A-Beatin' Boogie is a 1952 song composed by Bill Haley and first recorded by The Esquire Boys in 1952. Bill Haley and the Comets recorded the song in 1955 for Decca. The song was featured in the 1956 movie Rock Around the Clock. Disclosure are an English electronic music duo consisting of brothers Howard and Guy Lawrence. The siblings grew up in Reigate, Surrey. Their debut studio album, Settle, released on 3 June 2013, by PMR Records, was nominated for Best Dance/Electronica Album at the 2014 Grammy Awards. They released a second studio album, Caracal, on 25 September 2015 which was also nominated for Best Dance/Electronica Album at the 2016 Grammy Awards. 1 2 3 4 5 Rachel Syme (13 July 2008). "Who's That: Singer Brendan James Is a Hometown Hero". Page Six Magazine. Retrieved 7 June 2011. 1 2 3 4 5 David Menconi (25 February 2011). "Persistence is Brendan James' virtue". NewsObserver.com. Retrieved 10 May 2011. 1 2 3 Ashley Iasimone (26 October 2010). "Brendan James Becomes One of 'The Lucky Ones'". PopEater. Retrieved 10 May 2011. 1 2 "Matt White, Brendan James, Will Know". Berklee College of Music. 17 February 2011. Retrieved 5 December 2011. 1 2 3 4 5 6 7 Evan Amos (20 May 2011). "Evan Amos interview" . Retrieved 7 June 2011. 1 2 Joel D Amos (20 May 2008). "Brendan James Talks". She Knows. Retrieved 8 June 2011. 1 2 "Brendan James bio". music allies. Retrieved 7 June 2011. 1 2 3 4 5 "Better late than never". The San Francisco Examiner. 30 August 2010. Retrieved 7 June 2011. ↑ "Second Cup Cafe: Brendan James". CBSNews. 27 September 2010. Retrieved 5 December 2011. 1 2 3 4 "Brendan James bio". Decca Records. Retrieved 7 June 2011. 1 2 "How Sneaking into Hotels Helped Brendan James Find a Career in Music". andPOP. 1 June 2008. Retrieved 4 December 2011. ↑ "Breeze Album overview". UNC Clef Hangers. Archived from the original on 11 February 2009. Retrieved 4 December 2011. ↑ "Back Stage Live: Brendan James' Delinquent Past". CBS. Retrieved 8 June 2011. ↑ Andrew Leahey. "All Music bio". All Music Guide. Retrieved 8 June 2011. ↑ Christa Fletcher. "Brendan James info". Channel One News. Retrieved 7 June 2011. ↑ "Singer no longer "steal" pianos". CNN. 9 September 2010. Retrieved 4 December 2011. 1 2 "Brendan James EPK". Decca Records. 24 April 2008. Retrieved 4 December 2011. 1 2 "20 questions for singer-songwriter-pianist Brendan James" (PDF). Western Herald. 14 October 2010. Retrieved 7 June 2011. ↑ Brendan James (9 November 2005). "Brendan James blog". myspace. Retrieved 7 June 2011. ↑ Jeff Leeds (26 January 2007). "EMI Merging Record Labels and Ousting Capitol's President". New York Times. Retrieved 7 June 2011. ↑ "Capitol Records dropping lots of bands". BrooklynVegan. 21 February 2007. Retrieved 4 December 2011. 1 2 Ben Rhudy (27 May 2008). "M&C Interview: Brendan James talks The Day is Brave". Monsters and Critics. Retrieved 8 June 2011. 1 2 3 4 Emily J Ramey (1 June 2009). ""On a Bold Horizon" with Brendan James". American Music Channel. Retrieved 7 June 2011. ↑ "Brendan James/Tomas Young interview". YouTube: bjamesmusic. 26 March 2008. Retrieved 4 December 2011. ↑ Jim Farber (19 December 2008). "Soul-searching singer Brendan James hits the Blender Theater". NY Daily News. Retrieved 8 June 2011. ↑ Rebecca Creamer (15 September 2010). "Brendan James interview". Static. Archived from the original on 28 July 2011. Retrieved 7 June 2011. ↑ Perez Hilton (20 May 2008). "Listen To This: Primary Colors". perezhilton.com. Retrieved 4 December 2011. ↑ Leah Greenblatt (21 May 2008). "Guys on the Rise: 8 Emerging Singer-Songwriters". Entertainment Weekly. Retrieved 7 June 2011. ↑ "Brendan James - Green". YouTube: BrendanJamesVEVO. 19 December 2009. Retrieved 4 December 2011. ↑ Arun Kristian Das (23 December 2008). "Music Journal: Brendan James Ends a Journey at the Blender Theater". My Fox New York. Retrieved 7 June 2011. ↑ "Brendan James". Fox 4 News. 29 September 2011. Retrieved 5 December 2011. ↑ "Who's Next: Brendan James". M Music Magazine. August 2010. Retrieved 5 December 2011. ↑ Josh Jackson (21 April 2009). "The Vespa Experiment". Paste Magazine. Retrieved 7 June 2011. 1 2 "Billboard Brendan James album info". Billboard Music. Retrieved 8 June 2011. ↑ "The Fall music video". BrendanJamesVEVO. 19 August 2010. Retrieved 5 December 2011. ↑ Brendan James (8 November 2011). "10 new songs. Feb Release?". Brendan James's Twitter. Retrieved 5 December 2011. ↑ "Hope in Transition - Brendan James | Credits". AllMusic. 2012-07-10. Retrieved 2014-08-09. ↑ "Music News". Migratemusicnews.com. 2013-10-04. Retrieved 2014-08-09. ↑ "Brendan James Gigography, Tour History". Songkick. Retrieved 2014-08-09. ↑ "Brendan James - the new album! by Brendan James — Kickstarter". Kickstarter.com. Retrieved 2014-08-09. ↑ "The Day Is Brave chart history". Billboard 200. 21 June 2008. Retrieved 8 June 2011.